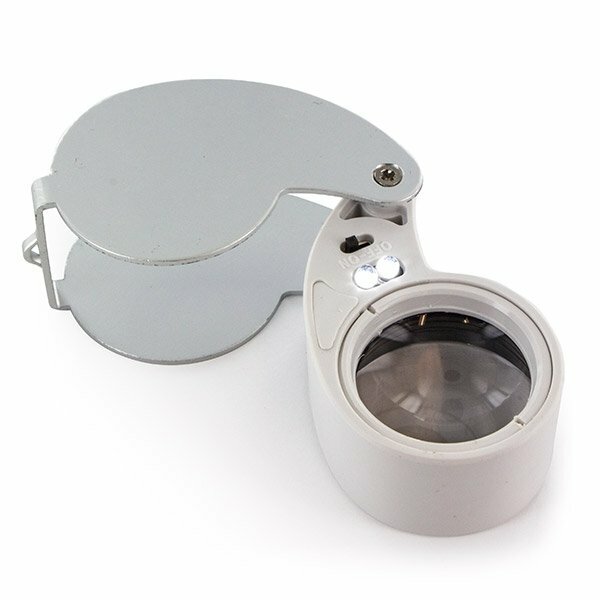 Mini microscope with 40x zoom and LED. 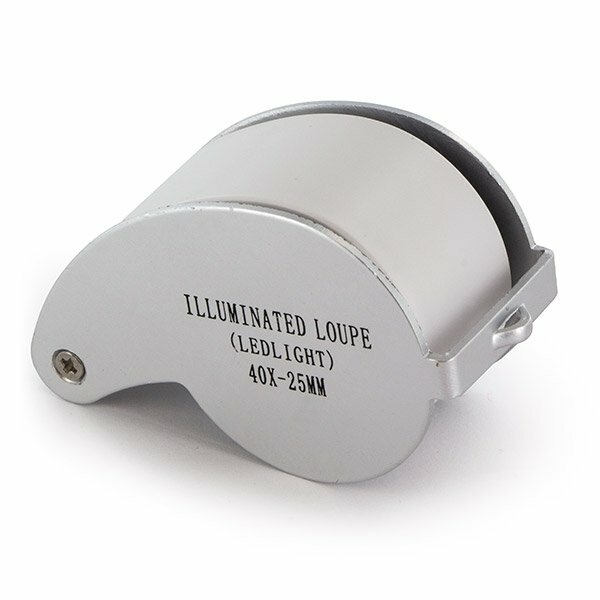 The attached lighting unit can be switched on or off (two bright LEDs). Comes in a small protective cover. Operates on 3 LR927 button cells (included). Measurements: 34mm x 52mm x 20mm.